July was about summertime memories. These are the moments that I cherish and hope my children take with them forever. 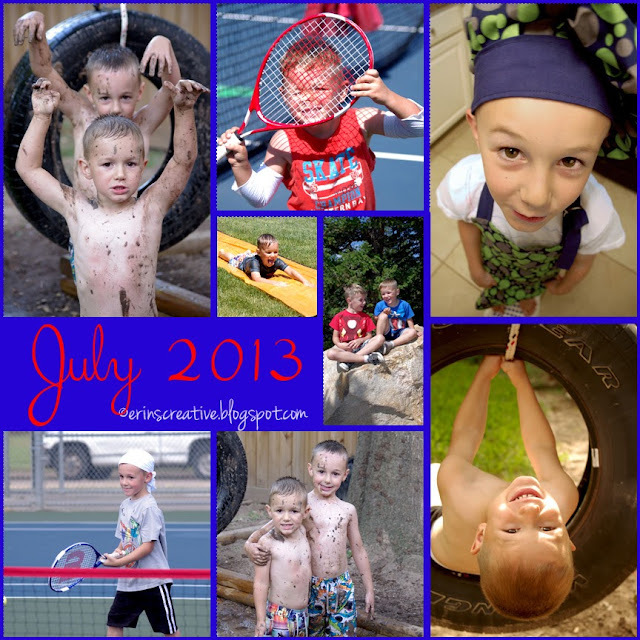 From tennis camp, playing on the tire swing, being my sous chef, becoming mud monsters and being in the "real" mountains. To me, this is what summer is about. Being care free and enjoying the simple things in life. What's the best summertime memory for you and your family so far? Being in the Rocky mountains and my little mud monsters are my current favorites. I Am Finally Able To Share Some News!! !